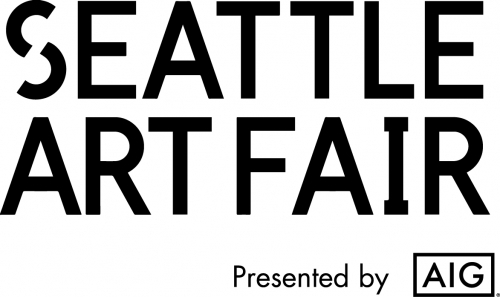 UNIX Gallery is excited to announce its participation in this year’s edition of the Seattle Art Fair, held at the CenturyLink Field Event Center from August 2 - 5. UNIX’s booth G19 will feature brand new paintings by British abstract artist Josh Rowell. This marks UNIX Gallery’s inaugural participation in the international, cutting–edge art fair. Art Seattle is open to the public August 3 - 5 starting at 11:00 AM. A Collectors Preview and Opening Night Preview will be held on August 2 from 3:30 - 6 PM and 6 - 9 PM, respectively. Through his practice, British artist Josh Rowell has continually questioned and interrogated the role that the digital world is playing in reshaping our current notion of ‘reality’. The artist finds different ways to manifest these changes, constantly exploring the space between the real and the virtual, fascinated by the way in which these two worlds interact. The artist looks at ways to break down, blur, and sometimes even reaffirm, these boundaries. For his latest series, Virtually Fragile, Rowell has taken inspiration from images of broken screens in order to paint digital landscapes of complex color and form, simultaneously geometric and spontaneous in their composition. Working from found images of a variety of broken devices, Rowell seeks to highlight the fact that the digital world, despite its seemingly limitless potential, is not yet immortal. Like all things, our personal relationship with the virtual realm is temporal; as we enter into the digital world through our screens, the gateway through which we travel can just as soon be taken away from us with one false move, one simple drop of our cell phone. Ultimately, we can understand here that the digital world is still answerable to the physical world. Born in 1990 in London, England, Rowell graduated from Kingston University in 2013, where he received his Bachelor’s of Arts with honors. Following an extended study in Art Criticism at Central Saint Martins college, Rowell received his MFA in Fine Art at Kingston University in 2015, where he was awarded the first class distinction. He has shown in many exhibitions in London, New York, Miami and Mexico and has work in public collections including the Uffizi Gallery, Florence and Kingston University’s contemporary art collection.